Ven. Chodron began working with inmates in 1997 when an inmate wrote a letter to Dharma Friendship Foundation, the Dharma center where she taught, and requested information about Buddhism. Since then the project has expanded. 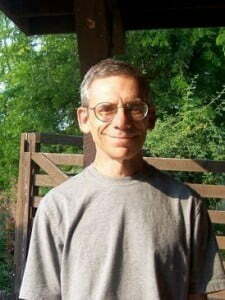 Jack in Boise has handled sending out books, tapes, malas, CDs, and other Dharma materials for several years and has done a fantastic job. He wrote this summary of the 2009 activities that he handled from Boise. They do not include the books, tapes, CDs, DVDs, and letters that Ven. Chodron and other Abbey residents send out. His report gives you an idea of what the Abbey does. Jack, Abbey residents, and other volunteers all feel the personal benefit we receive from sharing the Dharma with those who are incarcerated who are looking for answers and for methods to work with their minds and hearts. Sravasti Abbey sends books on Buddhism to inmates that write to us requesting them. Many are new to Buddhism, while others have been practicing for some time. In many cases the inmates continue to write back for instructional material and participate in the retreats the Abbey sponsors. During 2009, 282 books on Buddhism were sent to prison inmates. An average of 24 books a month was sent to individual inmates, which is a slight increase over 2008 when there was a monthly average of 22 books a month. Although some inmates may write for a book and not write back, many continue to correspond and request books and recordings. Their letters reflect that they are studying the Dharma and contemplating the teachings. We also sent 43 books to prison Chaplains for the religious libraries and Buddhist inmate groups. In addition to books, audiocassette tapes, CDs and DVDs were sent to inmates and Chaplains. These have recordings of teachings by Ven. Chodron and guided meditations. The Spokane Rotary Club 21 gave the Abbey a grant to duplicate a set of ten DVDs of Ven. Chodron’s teachings on Mind Training Like Rays of the Sun, and over 30 sets were sent to prison chaplains and/or prison libraries in 2009. The Abbey also produces a quarterly prison Dharma newsletter, which includes transcripts of teachings and inmates’ Dharma reflections. Over 350 copies are mailed to individual inmates who share them with their Dharma friends in their respective prisons. Some inmates requested malas to use in their practice. In 2009, 17 malas were sent out by Sravasti Abbey. Heather and other volunteers made these malas exactly according to the specifications of each prison. During the year 378 letters and 91 postcards were written to inmates. This does not include letters written to the inmates by Ven. Chodron and others in the Sravasti Abbey community. During 2009 there were 144 new inmate inquiries. These were letters asking for books on Buddhism from inmates that had not written before and writing to Sravasti Abbey for the first time. That was an average of 12 each month compared to 8 each month in 2008. Sravasti Abbey has offered a Retreat from Afar for 6 years. The inmates who participate commit to doing the same meditation practice done by those doing the retreat on site at the Abbey. They do the meditation practice at least once a day for the three months of the winter retreat. Volunteers transcribe Ven. Chodron’s talks during the retreat and send them out to the inmates. Each year the number of inmates participating has increased. 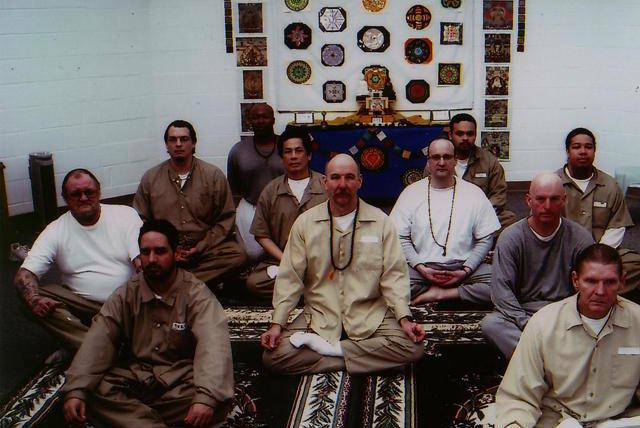 Ninety-five inmates did the Green Tara retreat this year. Many of the inmates write that they do the practice for the rest of the year until the next retreat starts. Inmates have written to express their deep appreciation for the Dharma materials and send donations from time to time. They have sent money from what little they earn in a prison job or stamps to help support the Abbey’s inmate outreach services. The entire project is done by volunteers, both Abbey residents and Friends of Sravasti Abbey. Aside from the Rotary grant for the DVDs and some volunteers not asking to be reimbursed for materials, the project is funded by royalties from Ven. Chodron’s books.